Easy to spot contact numbers, so when disaster strikes you don’t need to wonder who can help you first! 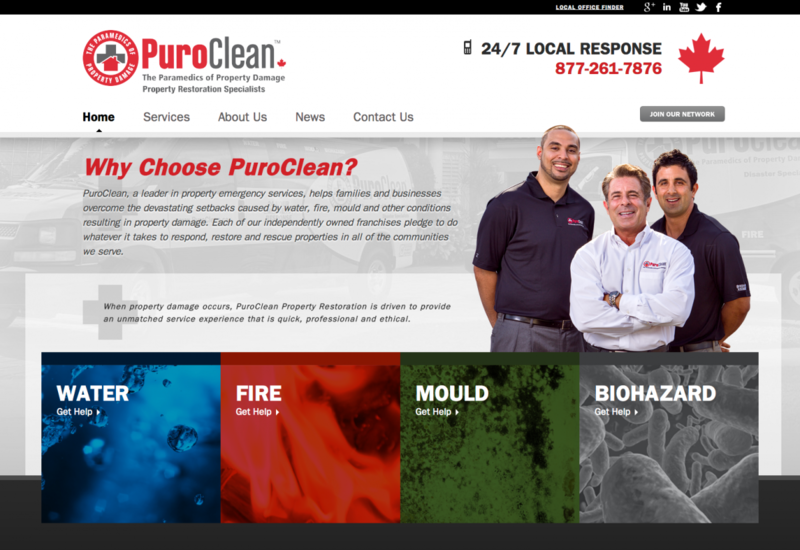 A spotlight on our four main services provided: water, fire, mould and biohazard restoration or remediation – so it’s clear what our areas of expertise are. Quickly locate contact information for our local offices – to get the help closest to you, fast. With 32 locations nationwide, we are the experts you can rely on, and now our website provides ample information on each of our specialties to give you confidence and peace of mind that you are hiring the right specialists. Our process, our values and insightful tips are provided on each of our service pages. We’re proud of how our new website reflects our brand, as well as our passion and commitment for providing excellent service with sensitivity and respect. So whether you are an insurance professional, a home owner or a property manager, take a look around! Then drop us a line and let us know what you think.